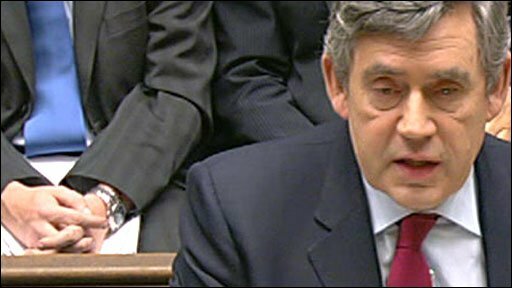 An independent inquiry into the Iraq war will be held in private, Prime Minister Gordon Brown has told MPs. Opposition parties - and many Labour MPs - have been calling for the probe since shortly after the 2003 invasion. It will start next month and take at least a year, Mr Brown said. It will not aim to "apportion blame", he added. The Tories said it "should have started earlier" and have public hearings. The Lib Dems accused the PM of trying to "cover up the path" that led to war. The inquiry will cover the period from July 2001 to July 2009 and be chaired by civil servant Sir John Chilcot, Mr Brown told MPs. The government had been urged to hold the inquiry in public, but Mr Brown said he must take into account national security, and avoid damaging Britain's military capability. It was designed on a similar basis, he added, to the Franks inquiry into the 1982 Falklands War, and it would aim to identify "lessons learned". He added it would hear evidence in private so witnesses could be "as candid as possible". The prime minister said: "No British documents and no British witness will be beyond the scope of the inquiry." He said the final report would reveal "all but the most secret of information" and the "unprecedented" process would be "fully independent of government". But the prime minister was jeered by Conservative MPs when he announced the inquiry would take a year to report - beyond the date of the next general election. 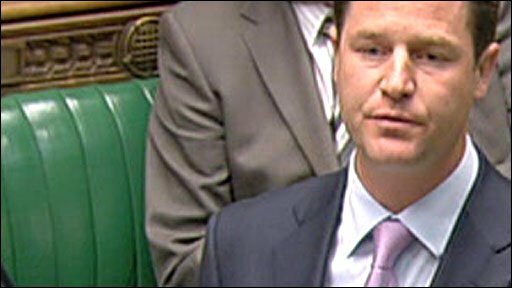 Lib Dem leader Nick Clegg - who has always called for the inquiry to be held in public - said "the government must not be able to close the book on this war as it opened it - in secret". 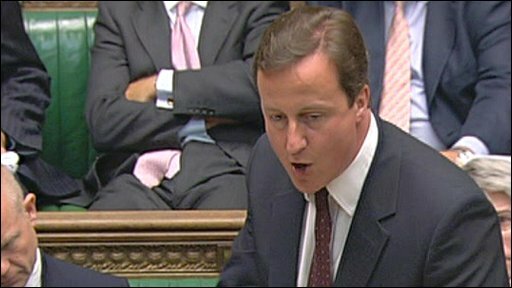 Mr Clegg added: "To rebuild public trust, this inquiry must be held in public." Also on the panel are former diplomat Sir Roderick Lyne, crossbench peer Baroness Prashar and historians Sir Lawrence Freedman and Sir Martin Gilbert. David Cameron: "Won't everyone conclude that this inquiry has been fixed?" For the Scottish National Party, Dundee East MP Stewart Hosie told the Commons the decision to hold the inquiry in private was "the wrong thing to do". Plaid Cymru's Adam Price said Mr Brown had "misjudged the public mood". Mr Price added: "The government that tried to keep MPs expenses under wraps is now doing the same over Iraq." The Stop the War Coalition's Lindsey German predicted the inquiry would produce "another bucket of whitewash". Rose Gentle - whose son Gordon was killed in action in Basra - said she would continue to lobby for a public inquiry. She added: "We have fought and fought for this but it will be no use and it could all be for nothing behind closed doors." 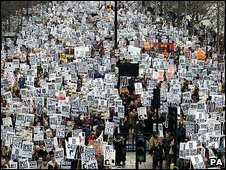 Former prime minister Tony Blair would be willing to give evidence to the Iraq inquiry if he were asked to be a witness, the BBC understands. A source close to Mr Blair said "if asked", the former prime minister would "of course" appear before the probe, BBC political correspondent James Landale said. Defence secretary Bob Ainsworth said he believed all those involved in the UK's decision to go to war would be willing to give evidence voluntarily. But ex-minister Clare Short, who resigned from the Cabinet over the post-war governance of Iraq, said the inquiry would be an "academic exercise" in which people could decline to answer questions they weren't happy with. "It won't get to the bottom of things and people won't get the answers they want," she told Channel 4 News. In March David Miliband, the foreign secretary, said the government was committed to holding a "comprehensive" inquiry into the conduct of the war and its aftermath.